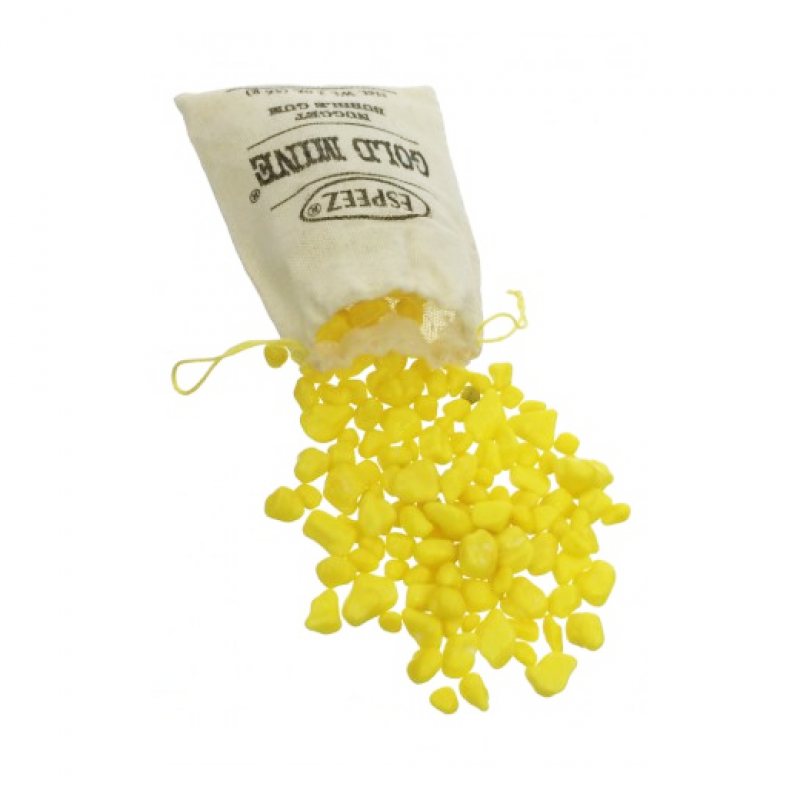 These little golden nuggets won't break your teeth! Golden nugget fun themed bubble gums. Golden nuggets that you can keep to your self or share with your friends. 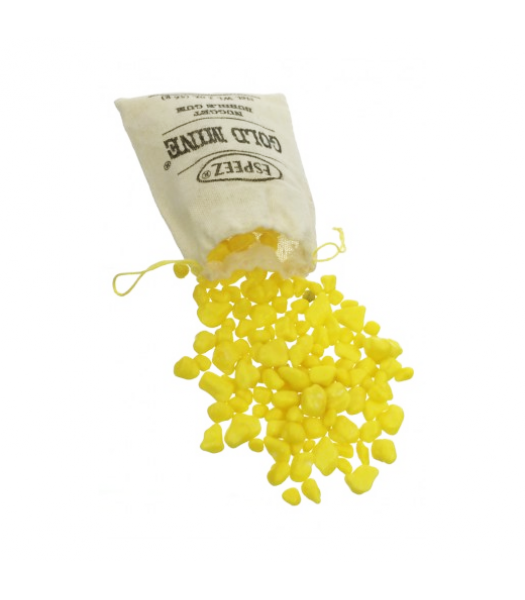 Little golden nugget shaped bubble gums in a classic style prospector bag.